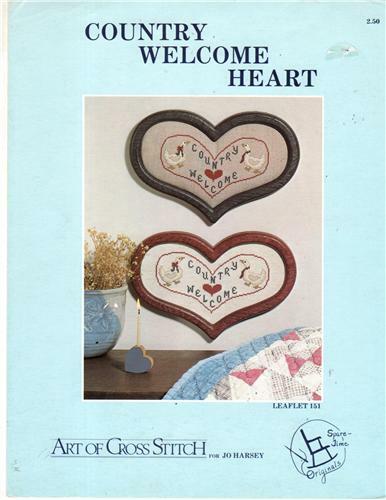 Art of Cross Stitch Country Welcome Heart Linda Myers counted cross stitch leaflet. Stitch count 60 x 115. Some very minor shelf wear along edges. Partial price tags.